The current Tivoli Commission of Enquiry has been nothing if not entertaining. For days I have watched hysterics, drama and a lot of cursing. I have watched witnesses talking and being questioned (or as some might say being badgered or harassed) by lawyers. I am not saying that the enquiry is not important but for now it seems like a daytime soap opera. Convenor of the Tivoli Committee, Lloyd D’Aguilar, has been the number one star in this daytime soap so far. He has been the person we watch anxiously, with our eyes pinned to the television screen, just waiting for something exciting to happen. On Wednesday, December 3, something interesting finally did happen. Mr D’Aguilar was thrown out of the enquiry by the Chairman of the Commission, Sir David Simmons. 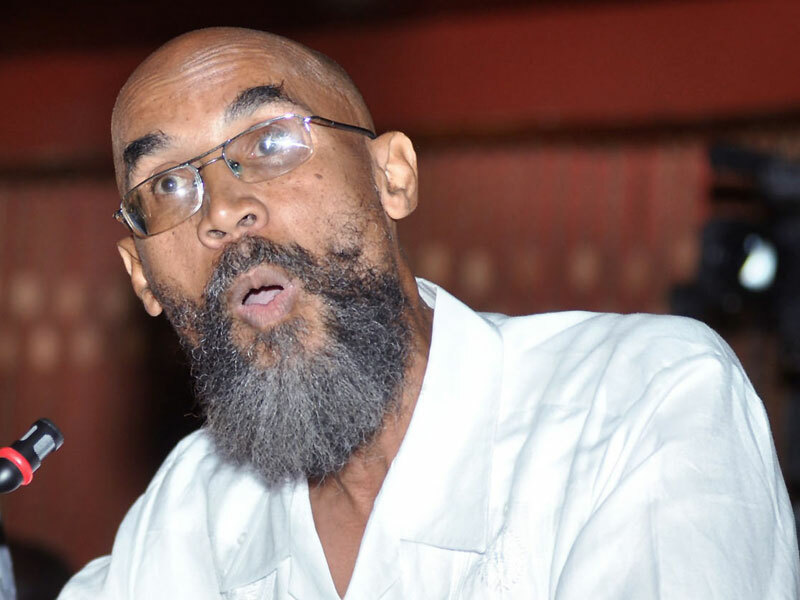 The decision to remove Mr D’Aguilar came after he interrupted the cross examination of Granville Roy Johnson, the second witness to appear before the commission. According to The Gleaner, Attorney for the Jamaica Defence Force Peter Champagnie was questioning Mr. Johnson when he became agitated and asked about having a lawyer present to represent him. It was then that D’Aguilar interrupted and complained to Sir David Simmons that Champagnie was “harassing” the witness. Linton Gordon, another attorney for the JDF then objected to D’Aguilar’s interruption, noting that he was not an attorney, which then triggered a verbal clash between D’Aguilar, Gordon and Sir David and eventually resulted in D’Aguilar being evicted from the commission. Michael Lorne, the lawyer for the Tivoli Committee, says he plans to ask the commissioners to allow D’Aguilar to return at some later date. However, for now the main attraction is out. In my opinion, this enquiry seems to be less about the victims and more about hysterics. Of course some will lie but not everyone. during this period, but almost all paid. areas then we have seen nothing yet. laugh at the Joker in the pack…. JA. up or right last name, there is no justice in JA our ppl run to other countries because Justice, hope and National Security is lacking. and was conned, lured & forced into drinking poison. Yeah! We only hear about the 70 plus “documented names!” How is it that such a travesty of justice – a country assassinating it’s own citizens – is taken so lightly, turning the victims into cartoon characters! THIS IS NOT A JOKE, and these so-called legal minds seem to think it is! That being said, there was no reason to kill people when he (Mr. Coke) was not even IN the area (Tivoli) where they said he was. He was, hiding someplace else. Simple questions; Who ordered the police and soldier to kill the people? When are the politicians responsible for this massacre going to be held accountable? These fancy-talking lawyers may feel great in verbally and linguistically pummelling these victims; but the seething humiliation they (victims) are constantly getting will manifest itself into something Jamaica will regret! This treating the poor as if they are worse that dirt, this so-called classism that certain Jamaican citizens love to entertain is a dangerous road to walk! Do the right thing! These victims did NOTHING and need to be compensated for their loss – caused by idiotic politicians only out to line their pockets. When are they going to jail for murder?